Cllr Aengus O’Rourke has led tributes to his aunt Ann Lenihan (née Devine ) who sadly passed away on Tuesday this week at the age of 79. Described as the “matriarch” of one of the country’s most famous political families, Ann was the wife of the late Tánaiste Brian Lenihan Snr and mother of the late Finance Minister Brian Lenihan and former Minister Conor Lenihan, as well as sister-in-law and close friend to former Minister Mary O’Rourke. Tributes poured in at the news of the death of a woman Cllr O’Rourke described as “a sociable, welcoming, warm person”, who had a strong sense of civic duty. “Ann had a very strong sense of public service. She took on the responsibility of dealing with constituency matters when Brian wasn’t there. She was a very sociable person, a welcoming figure at the door. She had a great sense of interest in everyone,” he said. Fianna Fáil leader Micheál Martin paid tribute to Mrs Lenihan, saying she provided “tremendous support in a family that gave much to public service in this country”. 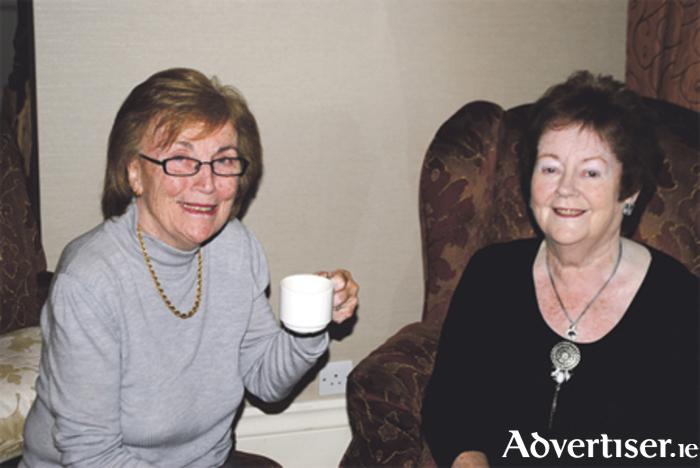 “It is with deep sadness that I learned of the death of Ann Lenihan. “She had a strong sense of service and civic duty which she instilled in each of her children. Ann had a positive outlook on life and always provided encouragement to those around her. Ann was the daughter of Garda Supt Joe Devine and Dr Ita Devine, from Retreat Road in Athlone. In later years she made her home with her family in Castleknock, Dublin. Ann battled through many tragedies during her lifetime, losing her son Mark to childhood illness in 1965, her husband Brian Snr in 1995, and her son Brian in 2011. She herself suffered a stroke 20 years ago. She passed away at the Mater Hospital following a short illness. Ann is survived by her children Conor, Niall, Paul, and Anita, eight grandchildren, and brothers Dermot, Conor, and Brendan. She will be reposing from 3pm this afternoon (Thursday ) at the Mater Private Hospital Mortuary Chapel with removal to Our Lady Mother of the Church, Castleknock, arriving at 5.30pm. Her funeral will take place tomorrow (Friday ) after 12 noon Requiem Mass to Cornamagh Cemetery, Athlone. Ar dheis Dé go raibh a anam.